We’ve released many articles about getting publishers, but what about launching your app solo? Launching an app is a BIG deal, especially when you’re an indie developer. 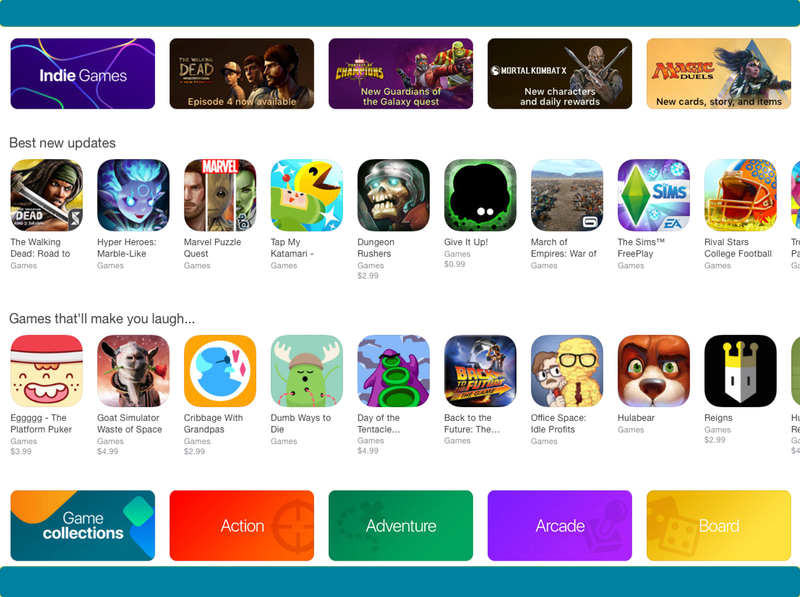 There are already millions of apps in the App Store, how do you get your game to stand out? The truth is … if you want your game to be discovered and get downloads, you have to lay the foundation for success way before your game’s release. To do this, it’s critical that you plan your app launch strategy early. In this article, we’ll cover 12 of the most important steps to successfully launching your game solo. With these steps you’ll be able to create a solid app launch strategy and generate enough buzz to get your indie game noticed. When you’re creating an app launch strategy, research is the first step. It’s the best way to find out what’s working, what’s not, and what you need to do to compete. Your primary goal is to gain a deeper insight into your target demographic (player base) and what they want in a game. This information alone will lead you in the right marketing direction. Now, you can go as in-depth with your research as you feel necessary but for time constraints, we’ll going to cover the basic research required to start building your app launch strategy. Who is your target demographic/player base? Before you begin, you need to have a game concept and category in mind. Browse the charts in the chosen platform that you’ll be releasing your game on and look for similar games that are performing well. Write all of your findings down. Create a list with the game name, publisher/developer, and contact info. Only make a note of the games that are similar to the type of app you want to make, that catches your eye, and appear to be made by individuals or small indie teams. Big games from major companies like Supercell’s Clash of Clans or King’s Candy Crush is not your competition. Remember, you’re launching your app solo, so you’re researching others that have done the same and found success. What’s Working & What’s Not? Once you have a decent list of potential competition, it’s time to investigate. Go to the game’s App Store page and read all of the customer reviews. Analyzing the game’s user reviews will give you a good idea of what they’re doing that’s working great and where the game is lacking. Take notes. Then download their games and play them. Pay close attention to game’s features and those points players made in the comments. Jot down anything noteworthy. Then research the developer. Go to their website. Do they have any social media accounts? If so, visit them too. Go even deeper and Google the game to see what media coverage if any they’ve received. Check out the images and backlinks. See who has written about the game and make a note for later reference. You should be able to get a good idea of what they’re doing and what your target player base wants in a game. For specific target demographics info, you can use tools like App Annie and Sensor Tower. A quick free hack that’s worth trying is using the Google Adwords Display Planner. Just log in with your Google account and click ‘Tools’ and then ‘Display Planner.’ Type the game’s website link into the landing page box and hit ‘Get ad group ideas.’ Data will appear showing demographics for individuals that have visited that site. Age, gender, and even interests. This technique won’t work for every game, but it’s a cool hack to try. Facebook’s Ads Manager is also another option that you can use in the same way for digging up data. Once you’ve done your research, you’ll have all the information you need to use throughout your entire app launch to help promote your game. For an efficient app launch, an online presence is essential. Building one will provide you with a platform outside of the App Store that you can use to market your game easily. The best way to do this is by creating a website to serve as your home base. With an official website or landing page, you can promote your app, capture emails and build a whole community around your game. A site is practically mandatory if you want your app launch to be successful. It will provide you with an easy way to directly interact with users, press and to network. You can have a full website with a blog and links, a standalone landing page, a combination of both or a personal blog and a separate landing page for your app. All of these options work great. The secret is to build your page early during the beginning stages of development. When you do, you’ll have ample time to grow a following. Blogging about the development of your game is also an excellent app launch strategy to use. It’ll not only help you form a fan base for your app before its release, but it’ll also serve as cool chronicle on the making of your game that you can reflect back on. Two of the most popular platforms for creating websites and blogs is WordPress and Blogger. You can start off free, but we recommend getting a domain name as soon as possible. It’s important to establish your site as the official page for that particular game or indie studio. For landing pages, you can use sites like Unbounce, Leadpages or Instapage. Your landing page can be a powerful marketing tool if done correctly. Make sure it features attention-grabbing screenshots and a demo of your game, a message announcing that that game is coming soon, and a clear call-to-action encouraging visitors to sign up for an invite or updates. It’s paramount that your page can capture users’ emails. So you’ll have a direct channel for promotion. If you’re not skilled in making a website or simply do not have the time you can hire someone to create one for you by using outsourcing sites like Fiverr or Upwork. Quick Tip: To establish authority make sure your website has a matching domain name (Ex: If your game name is ‘Bad Sam’ your landing page should be ‘badsam,’ ‘badsamgame’ or ‘badsamapp’ if possible.) You want to get as close to the original name as you can. Your home base should also include a contact form or email, About and FAQ sections if applicable. Now that you have a website, you’ll need a social media presence as well. I know what you’re thinking … with all of the different social media platforms out there, where do I start? Try to base your decision off of your research. Which platforms are your competitors using? What are the social networks that your target demographics use the most? Those are the channels you need to join. However, in general, it’s good to have a Facebook and a Twitter account. Both of these accounts are essential for promoting your game, establishing authority and reaching out to press and potential influencers. All three are major elements of any solid app launch strategy. There are dozens of different social media platforms that you can join, which is why research is so important. Use your data to determine which outlets would help you reach your game’s target player base. Avoid trying to take on too much in the beginning. Only focus on the two or three platforms that are necessary to give you a fair advantage. If you’re still learning the ropes, Facebook and Twitter are excellent starting points. Quick Tip: Always add links to your social media accounts on your website and blog and vice versa. Okay, you’re official now. You have a website; you’re on social media … now what? Well, it’s time to get organized. For your app launch to run smoothly and for you to keep your sanity while making your game you must have an action plan in place. Start by referring to your research. Examine what other developers were doing to promote their game on various platforms and the frequency. Did they post every day or multiple times per day? Did they blog weekly or monthly? What type of content did they use? Then sit down and come up with your content marketing strategy. Simply set aside some time to plan out each week or month, and what you’re going to create and share to help promote your game. Try to schedule it in a calendar with reminders. You can do this using Google Calendar, Evernote, or an Excel Spreadsheet. List which days, times, platform and what you plan on sharing. You should have plenty of ideas from your research. This step is all about getting everything organized into a specific schedule that you can follow. For example, maybe you’ve decided to blog once a week about your game’s development process. If so, pick a day and time, and topic to write about for that week. Add it to your calendar. Or you might be planning on going on Twitter to connect with fans of your niche. Create your tweets for that week and schedule them into your calendar. If you’re overwhelmed or too busy, you can always hire a virtual assistant to help you with the task. Having a content marketing strategy and schedule ready to go whenever you need it will alleviate a lot of stress and make the app launch process easier to handle. Press is an important aspect of any app launch. However many developers try to tackle it too late in the game. Try to create your press contact list early. During the development process is ideal. Refer to your previous research on similar top performing games and search for any press or media coverage. A quick Google search will turn up results. Once you have the site name, you can look up the writer and find their contact information. Before you add them to your press list make sure they’re a good fit. Check the website’s engagement and following, and browse other articles that the writer has written to make sure your game would be of interest to them. If they meet the requirements, add them. The next step is to find their contact information. This step can get a little tricky. You have to dig deep to find journalist emails. Start by googling their name to see what comes up. Try to find their email and any social media accounts. Often a writer will list a contact or personal page on their Twitter profile. Check out their website and see if you can find their email or a contact form. If you’re still having trouble, try using Chrome browser plugin extensions like Rapportive, Found.ly or Find Anyone’s Email – Contact Out. There are also sites like Buzzstream, Muckrack, and VoilaNorbert that you can use. If you’re on a budget, VoilaNorbert features a low pay as you go option and 50 free leads, which is cool. When you have your list, slowly start contacting and making connections. Follow them on Twitter. Keep up with their latest posts and use what you learn to create a reach-out email that will warrant their attention. Journalists aren’t the only people who can help spread the word about your game. Don’t overlook influencers. Social media influencers on Twitter and YouTube as well as the popular game or niche bloggers can help push your app launch towards success. Influencers have huge followings. When they post, tweet, review or mention your game, you’ll instantly get exposure. Networking with them and reaching out can help you in your marketing efforts. Try to find influencers to reach out to from different platforms. Twitter, Instagram, YouTube, popular indie game bloggers or reviewers are a good start. To avoid wasting time, focus only on individuals that would be interested in games, Indies, or your app’s particular niche. For example, maybe it has a classic retro feel, try to seek out influencers that are fans of old school games. You’ll increase your odds of a yes. Then make a list of influencers and start connecting. To promote your game, a demo video or gameplay trailer is a must. They are the best visual tools to have in your app launch arsenal to grab the attention of both potential players and press. A great demo video should be between 30 to 90 seconds. Try not to waste unnecessary time with long intros. Aim to immediately capture your viewers’ attention with amazing graphics and highlights. Your demo should also be exciting and explanatory. It’s essential that anyone who watches the demo, immediately understands what your game is about. Keep it simple, engaging and focused. Remember, gameplay trailers are about showing people how fun and unique your game truly is. Sneak peeks, and teasers are visual reminders that your awesome game is coming soon. They can be in the form of gameplay videos, game screenshots, character screenshots, GIFs of the game’s gameplay, text posts announcing what you’re working on or even a Vlog related to the making of your game. For a successful app launch, try to create and share teasers strategically throughout your game’s development. The goal is to get people excited about your game and anticipating its release. So, always try to be sneaky with your sneak peeks and spread them out over a period of weeks or months before your release. Quick Tip: Before you post a screenshot or video make sure it’s a good representation of your game. You want players to get excited about your game not think poorly of it before it’s even launched. When you’re still early in the development phase, try to use teasers with clever imagery or tagline to spark players’ interest until your game is ready for its first close-up. Step #9 – Promote, Promote, Promote! If you’re an indie developer launching an app solo, your mantra should be, “Promote, Promote, Promote.” You should always be promoting your game. There are dozens of different ways that you can promote your game on a consistent basis. You can join developer and gaming forums. Post about your game or add your app’s download link in your signature. You can also add your app’s link to your email signature with tagline and info. Be sure to cross-promote by including links and mentions of your game on all of your social media profiles and websites. You can even add a pop-up banner on your website to your game link. If you’re not into web design and don’t want to spend money, you can add this option using the add-on feature from HelloBar. Try to promote your game on YouTube by uploading cool gameplay videos, walkthroughs, and tips. You can also submit your app to review sites and places like Product Hunt. Try to turn promoting your games and apps into a regular habit. Remember, when you’re launching an app solo all of the marketing efforts falls on you. There’s no big team or advertising budget to rely on. You have to make promoting your game a priority. Using beta testers is also an important step to take. When you’re launching your app solo, your game has to be 100% ready before you can put it out there. Testing allows you to catch any game issues, crashes, or bugs before you release your app to the world. It’s also a great tool to use to gain valuable feedback on your game in general. You can conduct testing in several ways but using beta testers instead of close friends and family members can deliver the best results. Since there is no emotional connection, beta testers will provide you with deeper insights into your game. To be able to improve your game this info is essential. It will also result in a much smoother app launch. You can find beta testers on your own on various forums and gaming communities. There are also beta tester sites that you can use like Ubertesters and Usertesting. Try to get as much feedback as possible and make all the necessary changes before you release your game. Quick Tip: Always make sure your game is polished, features unique gameplay, great graphics and free of errors or bugs before your launch. In a successful app launch, everything is planned including the release date. It’s important to review your research and determine the best day for launching your app. A magical day that will deliver tons of downloads does not exist, but some days are better than others. Each app category varies. Refer to your research and strategically pick a date that will give you the highest chance of discoverability. Quick Tip: Try to stay up-to-date on the latest in industry news especially concerning mobile and tech. Avoid planning your release date on the same day as a popular product or app is scheduled to launch. Step #12 – Get Your Press Kit Ready! You have to be prepared when opportunity presents itself. So, make sure you have a press kit ready. Press kits are time-savers and help to not only establish authority but professionalism as well. Press kits (sometimes referred to as media kits) contain promotional material (i.e. screenshots, demo video) and other information to help journalists and bloggers learn more about their app or game. Having a press kit readily available will make it easy to get press and alleviate the stress of fumbling around trying to pull something together whenever a reviewer or blogger shows interest. A good press kit should include high-quality screenshots, banners, icons, demo video, and a press release or document with general information about your game and or indie studio. Keep it brief but engaging. Also make sure to include all of your game’s social media links, website and a contact email in your press kit. Save your press kit as a file that you can access whenever you need to or post it on your website. You can gain more exposure when your press kit link is available on your website for anyone to access. You never know who might check it out. Let’s be honest, it’s a lot of work to get your indie game noticed, but it can be done. When you’re launching an app solo, you have to start planning your marketing strategy early. Do your research, build a following around your game with blogging, get social and network with press and influencers. Engage with cool teasers, beta test and stay consistent with promoting your game. Remember the secret to app launch success, is to start early.